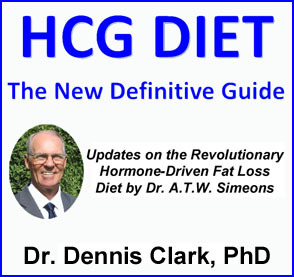 You will never be healthy by following the latest federal dietary guidelines. They are a mixed bag of advice – some good, some bad, some ugly. Although the feds purport to use scientific research as the basis for their guidelines, nothing could be further from the truth. Lobbyists for agribusiness have more sway than science. Let’s take a look at some of the highs and lows of the latest federal recommendations. Mainstream thinking about calories is so dogmatic that the idiotic concept about food calories is all over the new guidelines. No surprise there. Any little bit of clear thinking, however, could have reflected actual human physiology in the guidelines. This has been a favorite topic of mine, as in this recent post here: Food Is Not About Calories. In a nutshell, food is about hormones and electrons (i.e., reducing power). I suppose understanding the complexity of this concept is too much for the powers that be, which is almost everybody. Certain of the guidelines point toward good advice. The best might be a reduction in sugar consumption. However, naming our greatest source of dietary sugar – i.e., sodas – is absent. The sugar and/or beverage industry clearly had input into that decision. While the advice is to cut down on sugar, explanations about where to expect it in your diet are generally lacking. The main food sources for these sugars include fruit, sodas, candy, ice cream, baked goods, etc. You will also see them as additives in everything from ketchup to pickles, mayonnaise, salad dressings, and canned products of all kinds. It is impossible to list them all. Just read the labels on processed foods to get an idea of how much of these sugars are in any particular product. Be wary of the many names that different sugars can be hidden under: invertose, dextrose, corn syrup (esp. high fructose corn syrup), etc. The recent popularity of different syrups (e.g., agave) is just a ruse to make people think that the sugar they contain is somehow better for you. Nope … still sugar. By the way, fructose is so cheap and easy to manufacture that it has become the major source of sugar in the American diet. (Corn subsidies have a lot to do with this.) Unfortunately, it is not metabolized the same way that glucose is. In fact, fructose puts a tremendous strain on your liver, since most of it has to be converted to something else before it can get into circulation. That something else is mostly triglycerides (aka, fats). Also keep in mind that natural sugars are still sugars. The main guideline about sugars is to keep them down to 10 percent of calories consumed. As I mentioned before, however, the concept of food calories is ridiculous. It would be better yet to simply say cut out sugars from your diet. There is no such thing as sugar or carbohydrate deficiency. This food group causes all kinds of health problems, so just cut them out! What that means is that carbohydrates are basically sugar polymers. Eating carbs is the same as eating sugars. Any advice about cutting back on sugars should go hand in hand with cutting back on carbs. Ever since the absolutely asinine experiments in the early 20th century, in which rabbits developed atherosclerosis when gorging on cholesterol, we’ve had a love-hate relationship with cholesterol in our diets. The truth may finally be emerging in mainstream medicine: i.e., consuming cholesterol has little or nothing to do with blood cholesterol levels. It never did, except in those rabbits. The mania about consuming cholesterol has not disappeared, though. We still have food labels on products that are ‘cholesterol free’, as if that is relevant to anything. It isn’t. The feds are beginning to see the light, as revealed by the acceptance of eggs in the new guidelines. Again. Funny story: Dr. Oz commented on the ‘new’ acceptability of dietary cholesterol from eggs not too long ago. Unfortunately, he couldn’t get over his own medical brainwashing about eggs. Instead of cautioning folks about cholesterol in eggs, he switched to a different fake bugaboo: lecithin. I believe he still advises us to have no more than one egg a week, or something silly like that. Dietary lecithin is important for brain and nerve health. Worrying about consuming too much of it is a non-issue. Advising folks to worry about consuming lecithin is at best puzzling and at worst inane. For the moment, I will also point out that saturated fats are not the evil that nutritionists and other health professionals, and the federal dietary guidelines, make them out to be. More on that at another time, too. Until then, take a look at this earlier post: Myths About Saturated Fat – Pure Medical Idiocy. Two less-than-desirable items always crop up when the feds are involved: legumes and dairy. Agribusiness lobbyists at work, for sure. Botanically, legumes are the fruits of one particular plant family. You know them as pods and the seeds that they contain. The most common edible legumes include green beans, peas, beans (including soybeans), and peanuts. The bottom line is that recommending legumes as a significant, or even occasional, part of your diet is bad advice. The majority of U.S. dairy (including raw) contains a type of protein called A1 casein. A1 casein and its by-product, BCM-7, have been linked to cases of diabetes, digestive disorders, neurodogenerative disorders and heart disease. It is also linked to the massive increase in Hashimoto’s in the U.S. Dairy from France and New Zealand have no or very little A1 casein. Dairy from goats has no A1 casein. Butter from any source does not contain protein, meaning no A1 casein. If you are lactose intolerant, dairy can be a disaster on your digestive system. If you can digest lactose, note that it breaks down into a molecule of glucose and a molecule of galactose. Ah, more sugar! We over-consume fruits, which means we consume too much sugar from natural sources. All modern fruits have been artificially selected to be big, beautiful, and sweet. We do not need this additional sugar. Fruit juices are even worse. They are just sugar in liquid. If anything, consuming fruits should be limited to those that grow in your area, during the seasons when they normally grow. If fruits are a big component of your diet in the dead of winter, then you are asking for trouble. 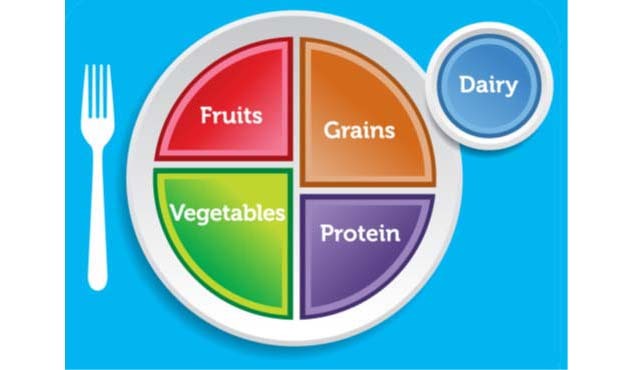 Willy-nilly guidelines for generally making fruits a part of your dinner plate (see ChooseMyPlate image above) all year long is simply bad advice. Specifically, this means cereal grains: mostly referring to wheat, oats, rice, corn (maize), barley, sorghum, rye, and millet. It does not matter one bit whether you are consuming whole or processed grains. You are going to get a heavy dose of starch (i.e., polyglucose) either way. Worse yet, the modern dwarf wheat that makes up the majority of products from that grain is the source of untold numbers of health problems. The gluten protein is generally thought to be the culprit. 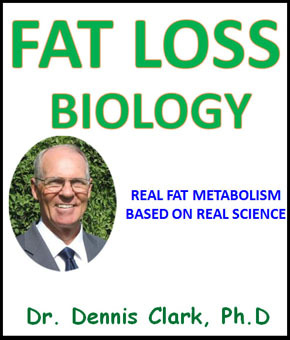 The best source of information on this topic is still Dr. William Davis’ book, Wheat Belly (see WheatBelly.com). Cereal grains in general are a Neolithic food source. They were not a significant component of pre-agricultural Paleolithic human diets. They still don’t belong in our diets. The agribusiness lobby will never let this one go. You have to decide on cutting out grains yourself. Advising people to consume cereal grains is truly ugly health advice. Other types of grains, such as quinoa and buckwheat, have become popular replacements for wheat. All kinds of good things can be found about them on the Internet. Such ’boutique’ grains, however, are still overloaded with carbs, meaning sugar. This has always been and continues to be the most important food that the feds fail to emphasize: seafood, particularly pelagic oily fishes: most commonly tuna, sardines, anchovies, mackerel, and herring. Daily consumption of such fish will make your life so much better in so may ways. Whole food fish oil (not supplements) is the single most important dietary source for the critical fatty acid, DHA. You can get a better idea of its importance in an earlier post here: Fish Oils – Industry BS Just Plain Fishy. How important is DHA from whole food fish oil? Here is what I have no doubt about: with certain other tweaks in lifestyle, a sufficient amount of whole food DHA in the diet would slow down and possible stop the massively growing problem of all neurodegenerative disorders, especially Alzheimer’s and Parkinson’s. The new federal dietary guidelines tiptoe around red meat. The meat industry wants you to eat more. Nutritionists are worried about all kinds of health scares associated with consumption of red meat. Dr. Oz, bless his heart, thinks that saturated fats in red meat are the culprit. That would mean the ‘white’ and not the ‘red’ parts of muscle meat. Oh, well. What nearly everyone fails to consider (feds, doctors, nutritionists, etc.) is that the food source is only one of many variables. The most ignored variable is cooking. Cooked meat can be very dangerous, depending on how it is cooked. Take a look at this eye-opening article by the Life Extension Foundation to get an idea of what I mean: Live Longer By Changing How You Cook!. None of the research that implicates red meat as the cause of cancer, heart disease, and a number of others, is based on raw meat. Good scientific research has to account for all variables as much as possible. Research, and advice based on it, about health problems from red meat utterly fails in this regard.